In the last decade the amount of Protected Areas (PA)§have increased significantly. With the problems of§loss of biodiversity and climate changes PAs have§become important for protection of nature and§biodiversity. The Network of Adriatic parks (NAP) is§a project that has the goal to create a network of§PAs in the Adriatic Ionian Basin countries and aims§at promoting, enhancing and conserving the natural§resources of the Parks. Local food products stand for§keeping the tradition and culture of specific areas.§Local products could be used as a tool, by means of§involving the local inhabitants living in the areas§of the park for social, economical and environmental§sustainability of the park and also for the rural§people living there. The tradition and knowledge in§the countries rural area where the parks in the NAP§project are situated are not yet familiar with the§concept of local products as the parks from the§Italy. 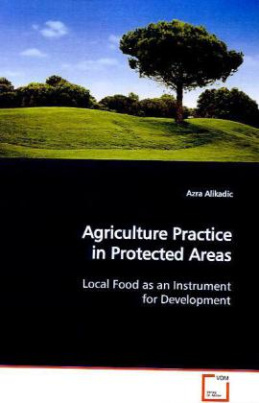 This research should help to recognize new§ways of cooperation and development, and should be§especially useful for professionals working in the§field of protection of nature and agriculture or§anyone interested in different ways to promote local§products and PAs.